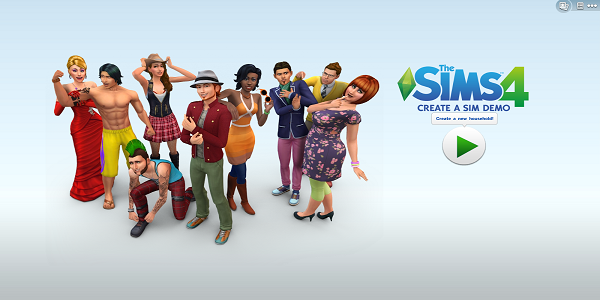 Sims 4 Create-A-Sim Demo Released! The Sims 4 CAS demo has been publicly released by Origin. If you'd like to download it, you can either open up Origin, or go Here and try it out. The Sims 4 has been in development for quite some time now, even while EA was releasing more expansions and packs for The Sims 3. The official release date is September 2nd, not even a full month away. 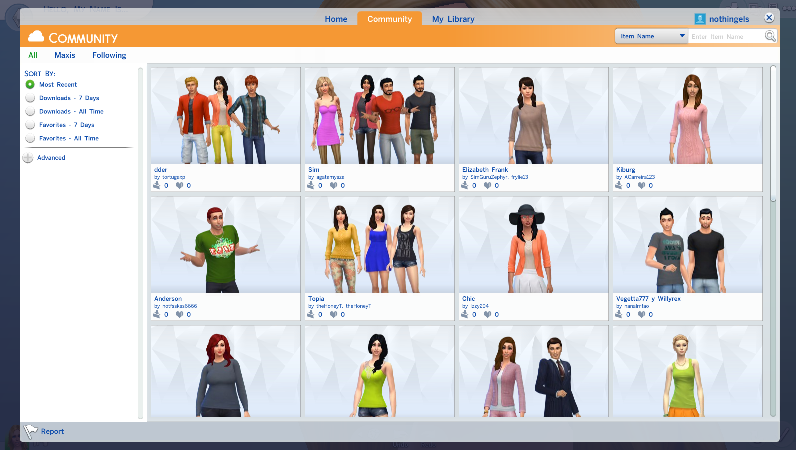 The Sims you create in the demo can be brought into the full game, as well as uploaded to "The Gallery", which is similar to the old Sims 3 Store. The Gallery is already filled with all kinds of Sims creations, rooms, houses, and much more. It's a great way to share your creations, or if you aren't the best at building houses or creating Sims, you can simply download one while in-game, and have it in seconds. It's really a great feature. This is where you start off creating your Sim, this is just the default Sim that it gave me. There are a lot of new features, and it seems very stripped down, but in reality there are far more features than there were in previous games. You can fine-tune every detail, in a drag-and-drop fashion. It's really intuitive, and makes editing your Sims the way you want much simpler, while still giving you far more control than any previous generation gave. Below is a quick look at the "Detail Edit" view, for the face of my default Sim. Anyone who has been keeping up with the trailers will have seen a few videos about "Smarter Sims, Weirder Stories", and it's more than true. Your Sims are far more intelligent, however some things remain from older games. Your Sim's moods will affect how they interact with other Sims and objects, such as an angry Sim will work out faster, and gain the skill more quickly. A Sim that has the trait "dislikes children" will get angry when they talk to a child. But again, it's still The Sims. Place a chair in front of a door, and they can't escape. The new build mode has been improved greatly, and the Buy/Build modes are now all-in-one, but it's not without error. (From what I've seen, now this might change in the future,) the build mode is pretty amazing, but still has the issues of needing the walls up in order to grab doors instead of objects. Now remember what I said about the Gallery? Currently, you can only see other Sims creations. In the full game (And in the developer demo, videos, etc) you can download entire families, houses, or just rooms. You can also customize the room to your liking. For instance, you can have a trailer, decide that you want to add another bedroom, and rather than just build one you can simply go to the gallery, find one you like, change the color to say, blue, and drop it in. You can rotate any room at any time, even rooms that have been there since you started. It's going to be an incredible game, and I personally am very excited to play it. Screenshots were by me, in the CAS demo.